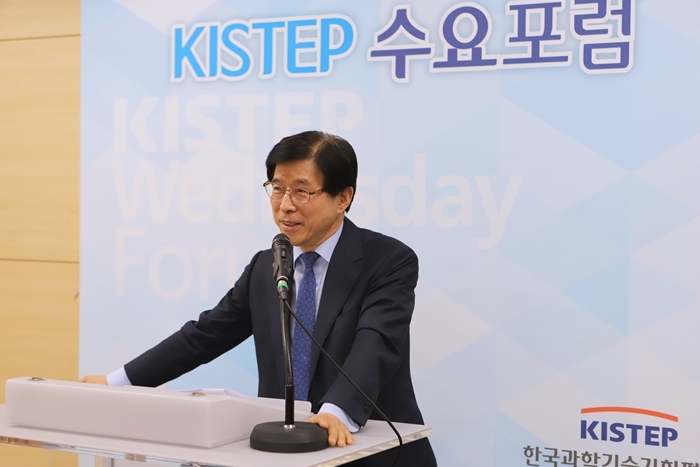 KISTEP held the 97th KISTEP Wednesday Forum with the theme of “Energy Conversion and Hydrogen Society” on December 19th (Wed), 2018. 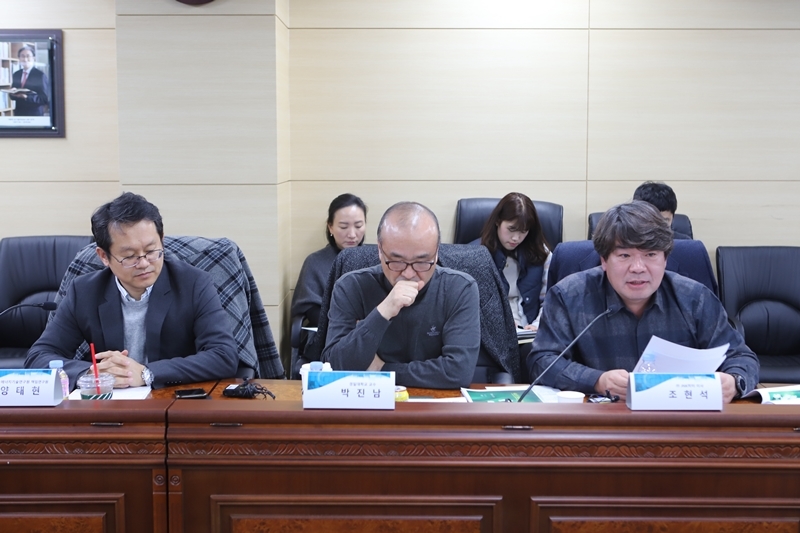 The Forum was held to review the status and issues of hydrogen fuel cells in Korea and to hear of experts’ opinions to on policy directions in the new era of energy conversion. 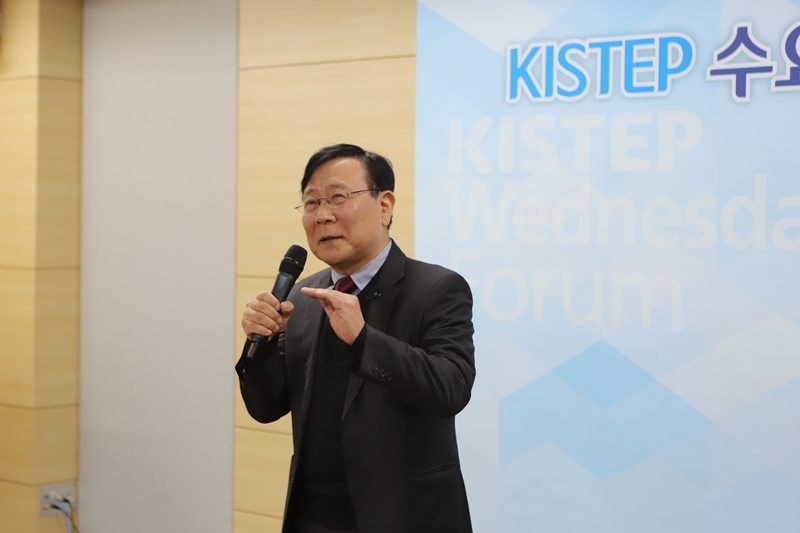 The forum began with an opening address by President Sang-seon Kim (KISTEP), followed by presentation by Hong Seong-Ahn (Chaired Professor, Gwangju Institute of Science and Technology). Panel discussion were led by Harry Cho (Managing Director, JNK Heaters Co., Ltd.), Jin-Nam Park (Professor, School of New & Renewable Energy, Kyungil University) and Yang Tae-Hyun (Principal Researcher, Korea Institute of Energy Research), and open floor discussion followed the last. In the presentation, Professor Hong shared the recent issues of energy and hydrogen, and expressed “The energy conversion policies of government are actively implemented such as the selection of ‘hydrogen economy’ for the top 3 strategic investment targets and the national energy conversion policy has been actively implementing to cover 20% of total power generation with renewable energy by 2030. Professor Hong explained “Our policy direction of energy is the renewable energy system because of the limited fossil fuels, and hydrogen needs to be considered for renewable energy.” Also, he mentioned, “The key technology of the hydrogen-economic society is fuel cell, and our system technology of fuel cell meets the global level. Lastly, with a policy proposal for the development of the hydrogen industry, he emphasized “National vision and direction should be set up in order to promote a successful hydrogen economy and we need to approach problem solving in mid-to long-term with careful planning.